Being one of the most special days of your lives, your wedding day needs to be just perfect. From the big components that make the day so significant, to the finishing touches that’ll help create memories you’ll cherish, the team at The Queens hotel in Leeds are always on hand to make your day extra special. The four-star Queens hotel boasts a perfectly central location in the heart of Leeds. The Art Deco style building is ideal if you’re looking for something to add a touch of elegance to your day, while the Portland Stone façade creates a spectacular backdrop for photographs. 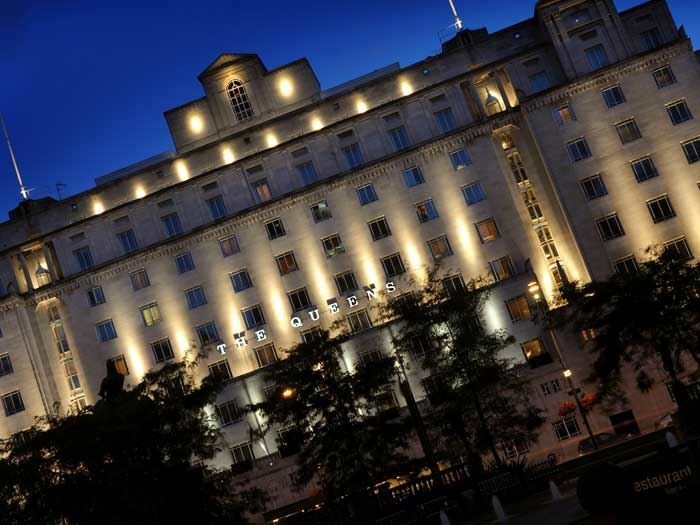 As one of Leeds’ most well-known landmarks, the hotel’s facilities are sure to make your wedding celebrations remarkable.